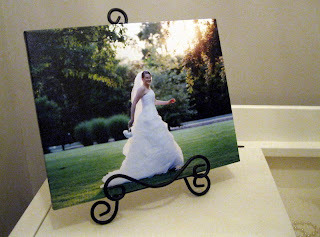 The very efficient people over at Easy Canvas Prints offered me an 11x14 canvas print in exchange for my honest opinion of their product here on my blog. They were 100% positive that I would love my print. They were right! Having just had a daughter get married, I knew exactly what photo to have done: a bridal portrait in which she looks like she's running for her life with a mischievous, conciliatory grin on her face. 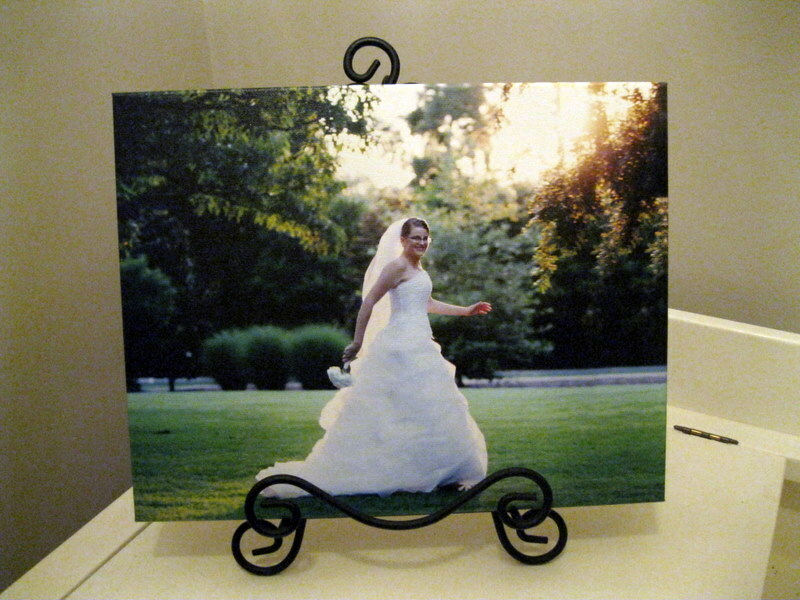 or buy a canvas print with their photo, they have some beautiful images to choose from. Available off-line with a custom quote, multi-canvas collages look like an awesome way to display several photos in a grouping. Some of the image effects include major/minor retouching, remove people from group (!!!??? ), oil painting effects, wrinkle removal ( I know, right?!) and many more. The ordering process was simple and fast. The site has an excellent FAQ page and offers a great idea gallery to help you get your creative juices flowing. Email notifications keep you informed on shipping status. Easy Canvas Prints has very fast service -- I received my print in just a few days with regular shipping. Now I have to go back through my photos and select a few that I'd like to someday put on canvas print. I'll be ready for the next 4 Hour Sale! The product in this review was given at no charge in exchange for my review.